This year we’re growing 14,502 pumpkins in our backyard. And not the eating kind. So that means I need to start gathering pumpkin painting ideas now. 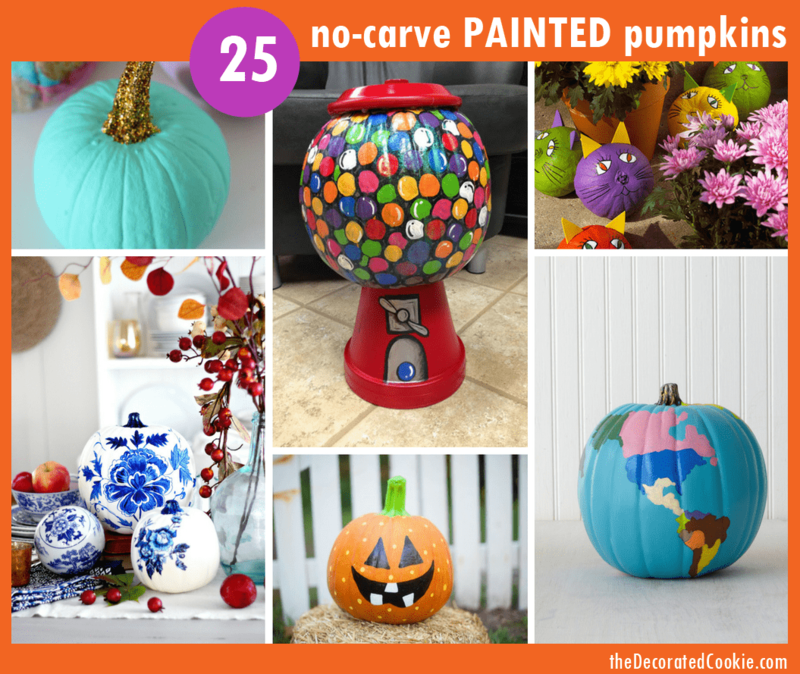 Why painted pumpkins? Cutting and carving not only limits the life of these pumpkins, but it’s like an invitation to all the neighborhood squirrels to come to our porch for a feast. Back when I had more time (thanks a lot, kids), I used to paint stuff all the time. You know, like having a hobby other than drinking wine and watching Netflix. 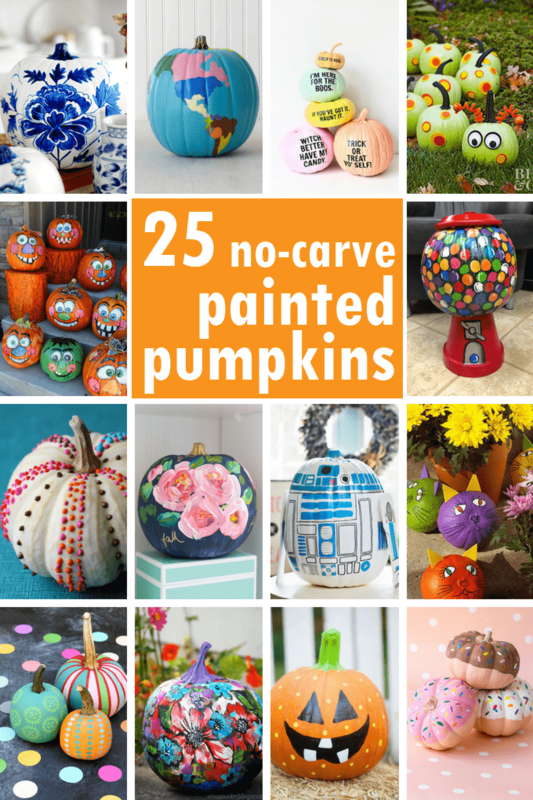 Instead of actually painting anything, though, this time I’m just gathering ideas for no-carve, painted pumpkins. 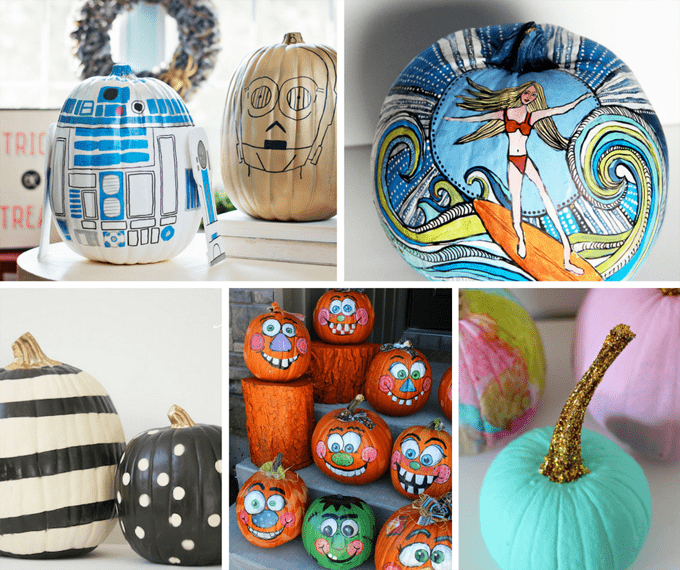 Here are 25 ideas for using paint to decorate pumpkins instead of knives. 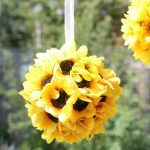 This painted flower pumpkin is one of my favorites, at Craftberry Bush. Find the Earth pumpkin at Martha Stewart. Make finger paint pumpkins at Alisa Burke. Paint some puns at Studio DIY. Just paint the Jack O’ Lantern, at Toast. Make droids pumpkins at DIY Candy. See beach pumpkins at Alisa Burke. Spray paint pumpkins at Sincerely, Sara D.
Paint pumpkin faces at A Girl and a Glue Gun. Make watercolor pumpkins at Nest of Posies. My favoritest ever, blue and white porcelain, the pumpkin version. At Craftberry Bush. 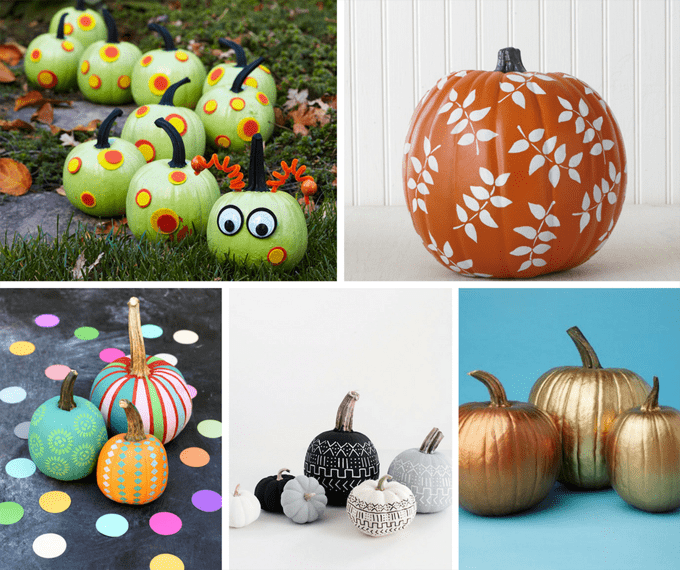 Make fabric paint dots on your pumpkin at A Beautiful Mess. Make candy corn pumpkins at BHG. Make ombre pumpkins at Funkytime. 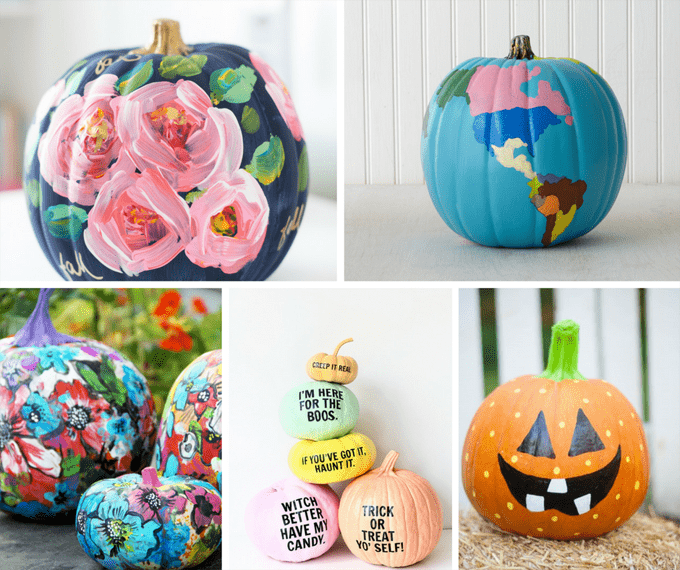 Make decoupage pumpkins at HGTV. Make a caterpillar pumpkin at BHG. 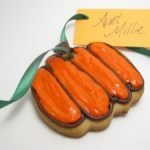 Find the leaves pumpkin at Martha Stewart. Paint mini pumpkins at Handmade Charlotte. 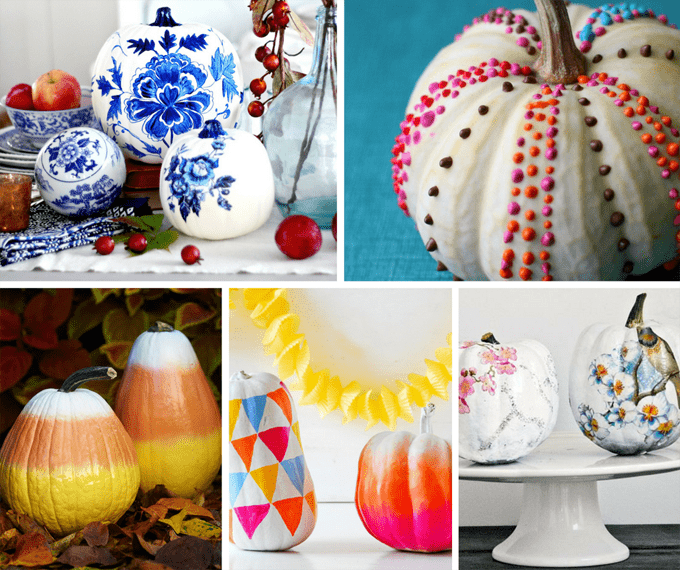 Paint mud cloth pumpkins at Homey Oh My! Make metallic pumpkins at Real Simple. 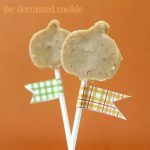 Make kitty cat pumpkins at BHG. Make mini bloody pumpkins at Almost Makes Perfect. Make gumball machine pumpkins at My Life with a Cherry on Top. 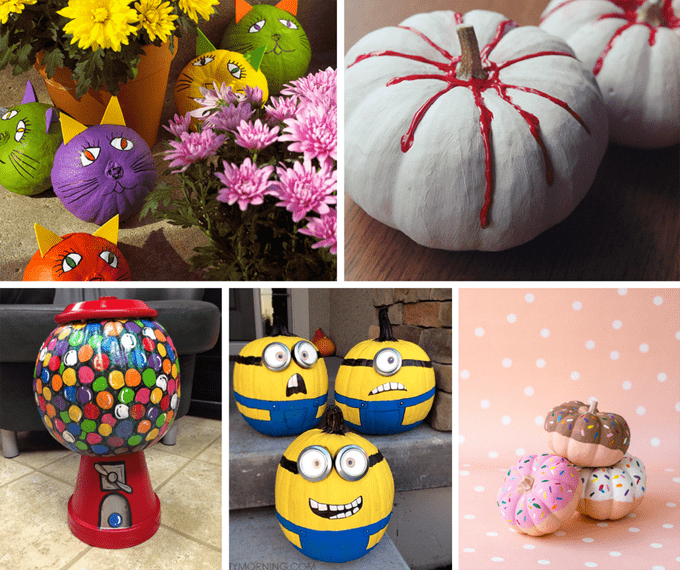 Paint characters, like Minions, on your pumpkin, at Crafty Morning. Make donut pumpkins at Studio DIY.